We live in a sea of chemicals and while that could have been literal had we lived underwater, it is still quite true. 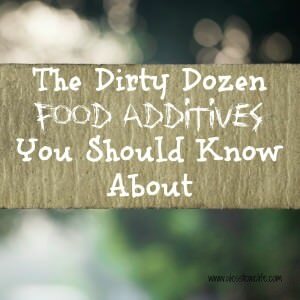 From the beauty products and home cleaning products that we use, the foods we consume, and the water that we drink, to things we use to decorate our rooms, we are exposed to an increasing array of toxins that affect our health and everyday life. These toxins are linked with a series of adverse effects on health, including allergies, colds, asthma, diarrhea, pulmonary infections, heart strokes, and cancer among others. The more we supplement our knowledge of these toxins and their prevalence in our environment including how to limit our exposure from them, the better we can guard ourselves against them. The more we supplement our knowledge of these toxins and their prevalence in our environment including how to limit our exposure from them, the better we can guard ourselves against them. Also called BPA and found in food and drink can linings, BPA is linked with increased chances of breast and prostate cancer, obesity, diabetes, and behavioral problems. It can also affect reproductive health. To reduce your exposure to BPA, limit your use of canned foods and switch to healthier alternatives such as fresh or frozen foods. Teflon is a chemical that is frequently used to make non-stick cookware and is likely a carcinogen. When anything is heated in a nonstick pan for 2-5 minutes Teflon coating can break apart and get included in the food. It is recommended that to avoid this toxin, it is better to use stainless steel or cast iron cookware. Parabens are used as a preservative in many products and known to cause cancer, reproductive toxicity, and endocrine disruption. Thankfully, a variety of products are listed as “paraben free” so this shouldn’t be too hard to replace your current ones with a less toxic version. Oxybenzone is actively used in sunscreens and it gets accumulated in fatty tissues. This toxin is linked with causing cellular damage, hormone disruption, allergies and is also associated with low birth weight. Sunscreens generally list this ingredient clearly so it’s much easier to avoid these days. Pesticides are used heavily in the production of food, but often leave residues behind making it harmful for human consumption. Pesticides have been linked with cancers and birth defects among other things. A solution to avoid pesticides is to switch to organic foods and growing your own food without pesticides when you can. I admit when I learned about all these chemical toxins I felt paralyzed. Wow, so many toxins and how do I get them out of my body and reduce my exposure? I’ve learned that you just have to take it one step at a time. I do my best to get clean food for my family and keep as many chemicals out of our home as possible. My favorite nutritional cleansing product is Cleanse for Life. 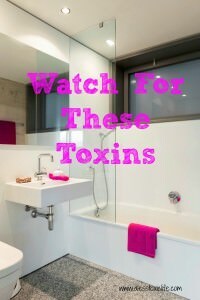 My favorite website to check for toxins in the products I use is EWG.org. This site has a significant amount of information that will help you live less toxic. I’ve stopped worrying about the things I can’t control and do what I can. I keep researching and learning but I don’t let the information stress me anymore. How About You? What do you do to combat toxins in your home and body?